The Night Hot Spots for Entertainment. It's Brothers Bar and Grill 477 Park Street Columbus, OH 43215 Phone: 614-221-0673 A real social College - University watering hole with all the trimmings, and safety. Student leaders get their social licenses ( " if you get my drip " ) from here too! Fabric 40 E Long St Columbus, OH 43215 Phone: 614-621-0416 Up beat upper - class place for socials and business arrangements, and to take a real beautiful date to after a night on the theatre along with an excellent dinner at a cozy restaurant. Lovers it is very good! A real righteous place. SITE: CROBAR often labled one of the Top ten bars / clubs in the world. Columbus, Ohio. The Night Hot Spots for Entertainment. Night Life Hot Spot - Night Life ( NightLife ), RMC OnLine Network. Baltimore Night Life ( NightLife ), RMC [ WebSite ] [ Hot Spots ]; Binghamton Night Life ( NightLife ), RMC [ WebSite ] [ Hot Spots ]; Buffalo Night LIfe ( NightLife ), RMC [ WebSite ] [ Hot Spots ]; Chicago Night Life ( NightLife ), RMC [ WebSite ] [ Hot Spots ]; Elmira Night Life ( NightLife ), RMC [ WebSite ] [ Hot Spots ]; Ithaca Night Life ( NightLife ), NY [ WebSite ] [ Hot Spots ]; Montreal Night Life ( NightLife ), RMC [ WebSite ] [ Hot Spots ];New York City Night Life ( NightLife ), RMC [ WebSite ] [ Hot Spots ]; Rochester Night Life ( NightLfie ), RMC [ WebSite ] [ Hot Spots ]; Syracuse Night Life ( NightLife ), RMC [ WebSite ] [ Hot Spots ]; Toronto Night Life ( NightLife ), RMC [ WebSite ] [ Hot Spots ]; and Washington DC Night Life ( NightLife ), RMC [ WebSite ] [ Hot Spots ]. I had one of my friends in Chicago Stacy B. go an check this group out. Her report was excellents as you get " reat entertianment values and real clas at the sametimes "
Internet center for concert tickets and concert ticket deals. Entertainment and Hop Nites spots in the Washington DC area . 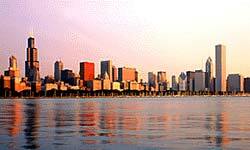 Chicago Night Life ( Night Life ), RMC ~ Chicago Recommended Night Spots ~ Chicago Theatres and Stage Productions . New York City Night Life ( NightLife ), RMC ~ Night Clubs - Cabarets - Piano Bars , and Hot Spots - Theatres . Entertainment Shows and Cabarets WebSite for the NorthEast .Ithaca Hot Spots . Washington DC Night Life ( NightLife ), RMC Nightclubs, Piano Bars, Entertainment venues, sport bars and something new party listings. The International Famous Chicago Symphony Orchestra . Dance Community Get Togethers: Home Illinois New York Ontario, Canada Pennsylvania Quebec Washington DC Links .